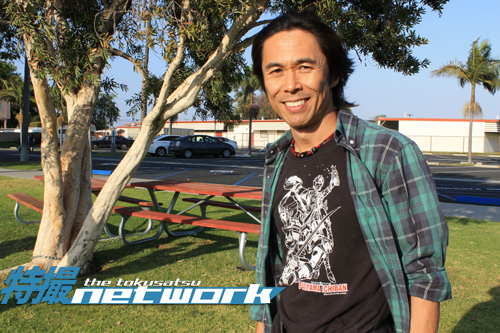 In anticipation for the upcoming Fujiyama Ichiban Festival in Los Angeles, California, the Tokusatsu Network presents an interview with its creator, Michi Yamato. 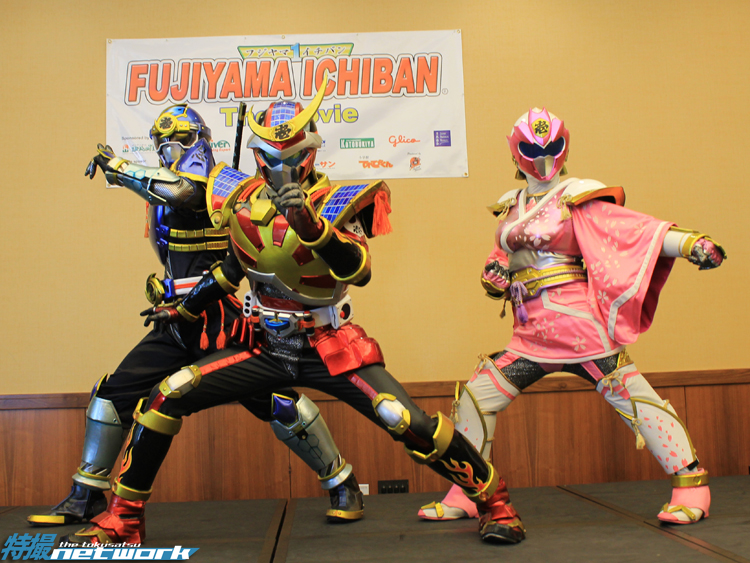 As previously covered by the Tokusatsu Network, Fujiyama Ichiban began as a bi-monthly magazine distributed to select businesses and grew into a live stage performances throughout Southern California. Starting in March of 2014, filming began for a live action series with Episodes 1 through 4 currently available on YouTube on the Fujiyama Ichiban channel. You’ve mentioned previously you grew up watching Kamen Rider. What inspired you about Kamen Rider that pushed you to become a stunt actor? His action and spirit. The Kamen Rider action (style) is based on kabuki, which is Japanese opera. It has sophisticated and aggressive moves. In the Showa Rider series, Kamen Rider became a cyborg by his enemy, Shocker. He has to overcome his sad fate and overcome villains, so I was attracted by that “Never Give Up” spirit. As a stunt actor, how does a live stage performance compare to an on screen shoot in terms of pace and difficulty? Stage is live, so you can’t fix it, but I can also feel the audience’s fever. It’s so exciting! For screen acting, a camera (can) catch a detailed move. So, we have to understand the script concept and act (well). Being an editor for Televi-kun is quite a stark contrast with being a stunt actor, could you tell us how you got that position? I love action acting as well as writing, producing, and creativity. I received my chance to work for Toei Production when a publishing company (Shogakukan) saw my 8mm Kamen Rider movie that I shot when I was 16 years old. They loved that and introduced me to Toei and Kamen Rider creator, manga artist, Shotaro Ishinomori-sensei. Then I joined Ohno Kenyukai, which was the Kamen Rider and Goranger action team. Then, I also produced a Kamen Rider event with the publishing company, then they offered me the Televi-kun editor (position). I was so interested in that, I became a Televi-kun editor for 4 years. How has the mixture of American and Japanese styles impacted your work on Fujiyama Ichiban and in general? Basically, goal is the same. It is entertainment. But Japanese tokusatsu style is complicated and deep. American style is simple and straight. I love both. In general, Hollywood is a huge scale and Japan is sharp. A photo of Michi Yamato at 7 years old, wearing a Kamen Rider costume on the right hand side. 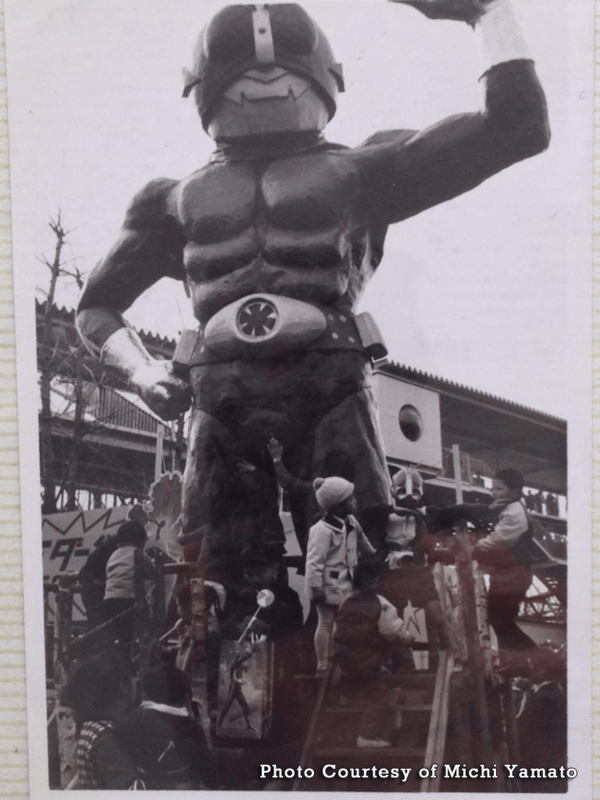 There are many Western tokusatsu fans who are only versed in one area of Japan, how do you feel Fujiyama Ichiban‘s focus on culture can help expose them to a side of Japan they might not be aware of? Good question! I put a more Japanese taste in Fujiyama Ichiban– samurai, ninja, kimonos, and martial arts. They are the icons of Japan and our culture is in it. For instance, when samurai fight they call out their names to each other then start the fight. The winner puts his jacket (on the) loser to express respect to the loser. After all, (one) condemns the offense, but not the offender. I feel like it’s Japanese humanism and I want to express that (humanism) side though Fujiyama Ichiban. In casting Adam Forrest as Sun Taiyo / Fujiyama Ichiban, what made you feel he was the right choice for the role? How has he helped bring Fujiyama Ichiban to life? 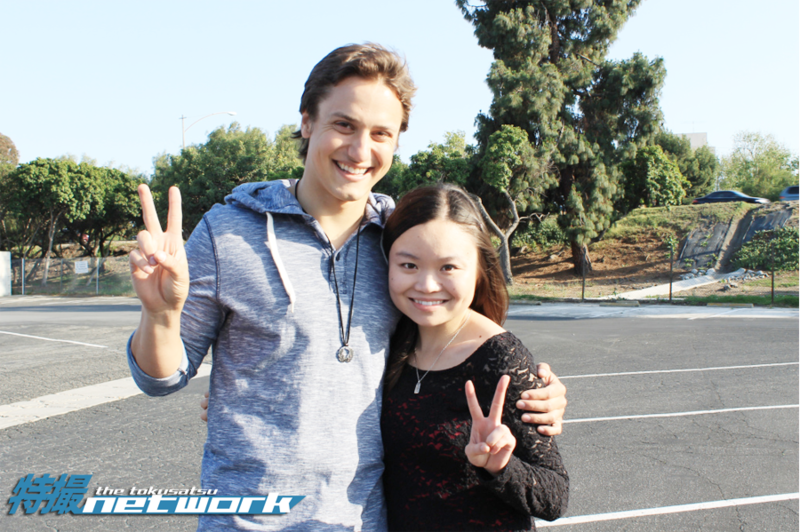 When we auditioned Adam, I felt that he was so serious and nice. Then, when he was one of candidates, most of the (Fujiyama Ichiban) staff pushed for him to become Sun Taiyo. From there, Adam began action training and started shooting. As we kept shooting him, he became more and more heroic; I mean, he was getting cooler. He also expressed the sadness of Sun’s fate. That’s was great and I was inspired by his innocence. Such an innocence made (the character) pure and attractive. Have any of the tokusatsu shows you’ve seen in the past influenced the story of Fujiyama Ichiban? Also, (the movie) Terminator. (The first) Terminator is my favorite indie movie. It’s a super low budget but it has fever of (its) creator James Cameron. As Fujiyama Ichiban continues, what are some of the directions you would like to see the story move towards? Well, February 1st is Fujiyama Ichiban Festival. After that, from March, the Sakura Ichiban webisode will start then April is Ninja Ichiban. Then, we will shoot next season this year. In the new story, Sun’s father will appear and Dark Matter (the villains) will be stronger. The reason why is still confidential. So, please ride on Fujiyama Ichiban adventure together!